I am an experienced freelance professional viola player and teacher. I studied at the Guildhall School of Music and Drama (AGSM) with Mark Knight and Paul Silverthorne, then spent a few years abroad in Greece and then Spain where I was Principal Viola of the Real Philharmonia de Galicia. I returned home and gained the position of Sub-Principal Viola of the Bournemouth Symphony Orchestra, and then moved to Cardiff where I currently freelance and teach. Recent professional work has included a trial for Principal Viola with the BBC National Orchestra of Wales this year, and since 2006 I have been Principal Viola of the Bristol Ensemble. Over the years I have worked with most of the UK's best orchestras including the Philharmonia Orchestra, London Sinfonietta, RPO, CBSO, ENO, BBC NOW and WNO. 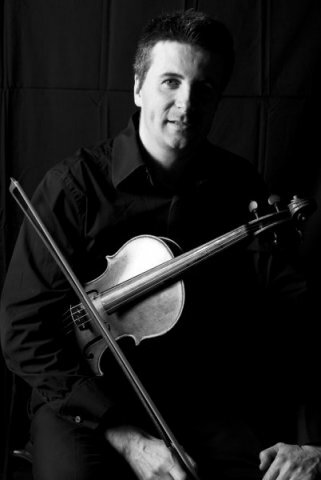 When I lived in Spain, I was Professor of Viola at the School of Higher Musical Studies in Santiago de Compostela. Since then, I have taught privately. I am happy to teach beginners to advanced of all ages. I am often asked by my professional colleagues for help with working towards an audition, and I do my utmost to help them raise their game with their concertos and orchestral excerpts. I teach from my home in Penarth (I can travel to your house if you are without transport, at extra expense), and online. I am very aware of the different needs and requirements of students. We all have our different strengths and weaknesses! I try to provide an engaging lesson, where I will draw the best out of you, and ultimately show you how to do this yourself when practising at home. My core beliefs are that you are never to old to learn and you can always find ways to improve- The day we stop learning is the day we die. Sound is very important, and I will work with my students to cultivate a rich, quality sound. I offer a discount of 10% when you book and pay for a term's worth of 10 lessons upfront, so effectively one lesson is free.